Our teachers and musical directors are all accomplished performers, tutors and workshop facilitators in their own right. They each bring a wealth of experience to Ilu Axé and together are responsible for creating our unique, dynamic and imaginative approach to performance and teaching / workshop facilitating. All have performed at the UK International Samba Encounters, WOMAD, Glastonbury and many other festivals, St Paul’s Carnival Bristol and in countless other projects and bands, locally, nationally and internationally. Our Team Building clients have included Guinness, British Telecom and many other well-known companies. Jon Hardeman Co-founder and Artistic Director of Ilu Axé. Jon is a renowned teacher, performer and consultant in and of all things Afro-Brazilian and Latin percussion. 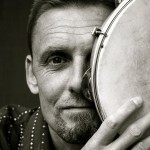 He has performed and taught worldwide and has helped set up a number of Samba groups in the UK. Jon has studied extensively in Salvador and has gained an intimate knowledge of African / Brazilian music and culture. In 2009 he was made an Alabé, a master drummer for Candomblé ceremonies, making him one of only two or three non-Brazilians to have received this honour. Katherine Sowerby Co-founder of Ilu Axé, Choreographer and Artistic Director of Ilu Axé Marseille. Katherine has been teaching and performing music since the early 1990s. Classically trained in orchestral percussion, she subsequently studied music and dance in the North-East of Brazil. 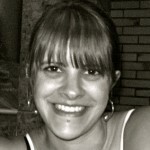 She set up Ilu Axé Bristol with Jon Hardeman in 2006 and went on to launch Ilu Axé Marseille in 2012. 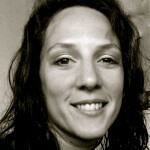 Katherine currently lives in Marseille, directing, performing and teaching Afro-Brazilian percussion and dance. As well as this she also teaches and performs body percussion. Kathryn Shaw Intermediate Level course tutor and Performance Director. 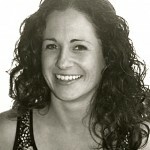 Becky Stothart Beginners Level course tutor and Performance Director. Becky joined Ilu Axé in 2008 after playing with several other percussion groups. She very quickly proved her playing, performing and teaching abilities and since 2012 has been the Ilu Axé Beginners Course tutor. Becky is also the first point of contact for any enquiries about joining Ilu Axé. Jackson Lapes Ilu Axé; associate tutor. Jackson has been playing music since age 8 and leading music workshops since 2006. He runs drumming workshops for both adults and young people based around Brazilian rhythms such as Samba & Maracatu fused with other rhythms from around the world. 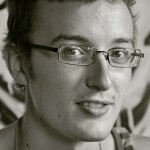 He has studied percussion in Olinda, Brazil and runs Bristol based Maracutu group Afon Sistema. It must also be said Ilu Axé wouldn’t be what it is without the skills, energy and hard work of the following: Tim Barton, A C Henderson, Kathy Wyatt, Stuart Goodall, Max Saward, Angeles Fiallo Montero, Helen Bromley, Sam Urquhart and Greg Stern. These are the people that make it all work, these are the people who do all the booking and course admin, that sort out all the finance stuff, that make the costumes, that sort all the transport to and from events, that get all the information about everything out to our drummers, etc etc. Ilu Axé is down to these people really, it couldn’t work without them.